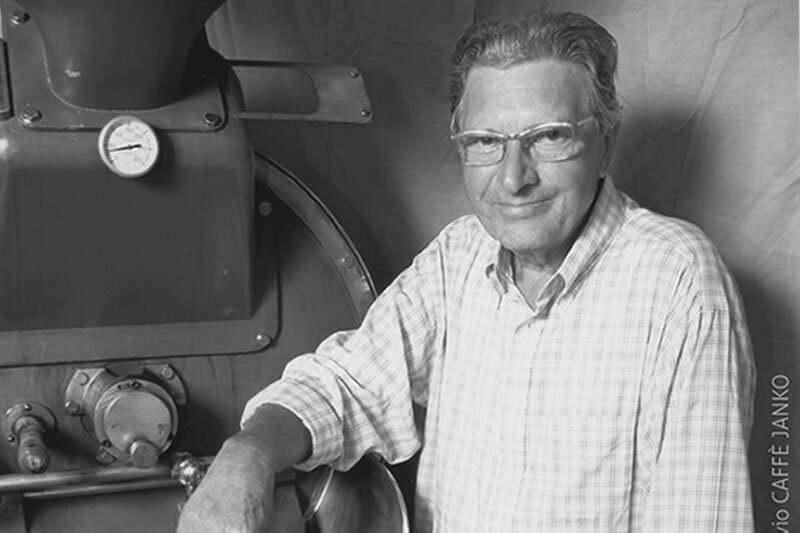 Angelo Ianco is the historic founder of the brand “Caffè Janko”, forefather of the family tradition of selecting the best coffee beans from around the world, skillfully toasting them and transforming them in select blends with unmistakeable flavor. In 50 years of experience, the company has become a synonym of excellence and grand tradition, the expression of which is in part demonstrated by the presence of the “Caffè Janko” stores in the heart of the historic center of Pavia. 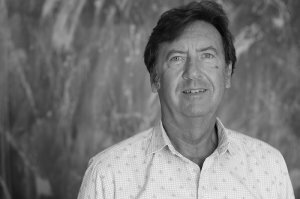 Tradition, research, quality and passion are the values handed down from generation to generation in the Ianco family.Rinaldo and Edoardo Ianco have cultivated the traditions of their father, growing the company together. Through the passage of time they have maintained the highest quality production standards. 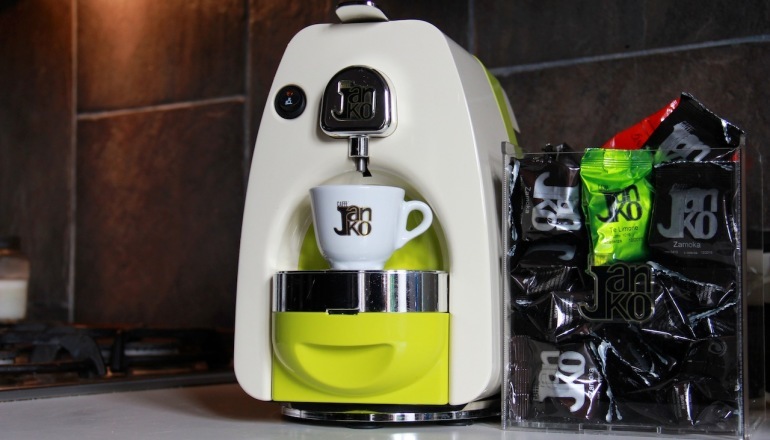 “Caffè Janko” is appreciated in historic cafés, Michelin starred restaurants, the university and other prestigious schools, not to mention at exclusive events during Milan Fashion Week and the “Salone” Design Week. etc.. Industry publications have also recognized us (e.g. The Gambero Rosso guide, Almanacco dei Golosi, Bar d’Italia, the Japanese magazine “Figaro”, etc.). The “Caffè Janko” stores in the historic center of our city offer a ‘slow shopping’ experience, amidst beautiful colors and aromas, providing the opportunity to taste and to purchase our exquisite coffee blends along with the offering of a highly researched selection of edible delicacies. 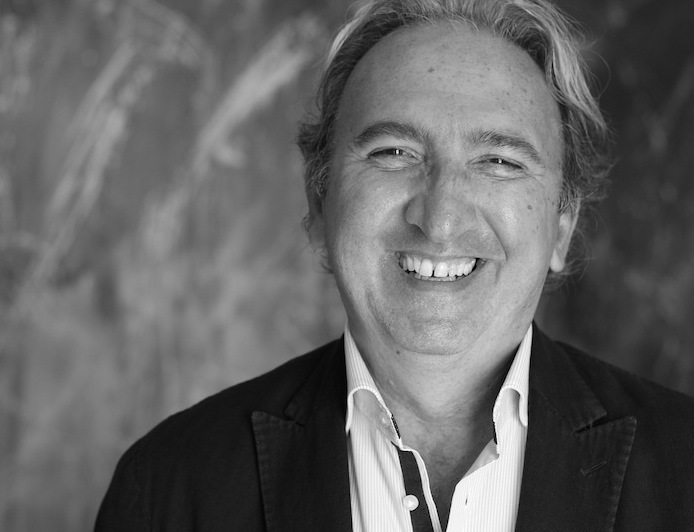 Paolo Ianco, the passionate third generation! Determination and a great ability to communicate are among the qualities inherited from his grandfather Angelo. 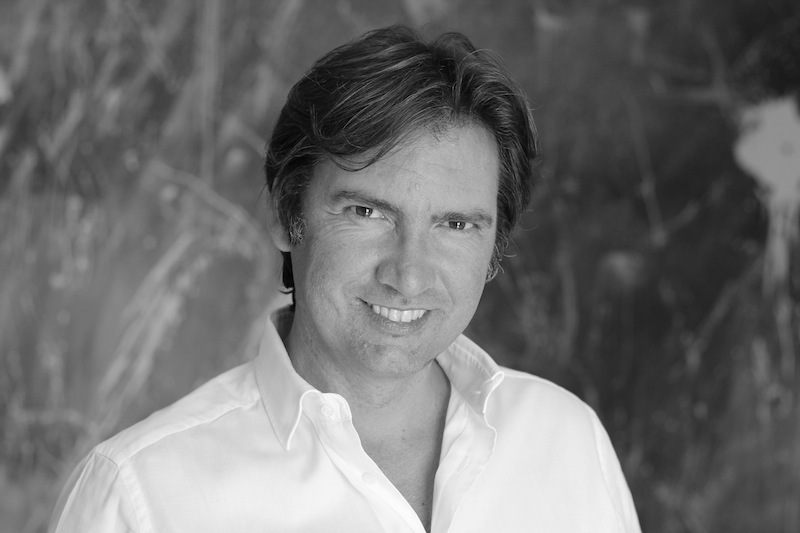 He successfully manages commercial development and public relations. 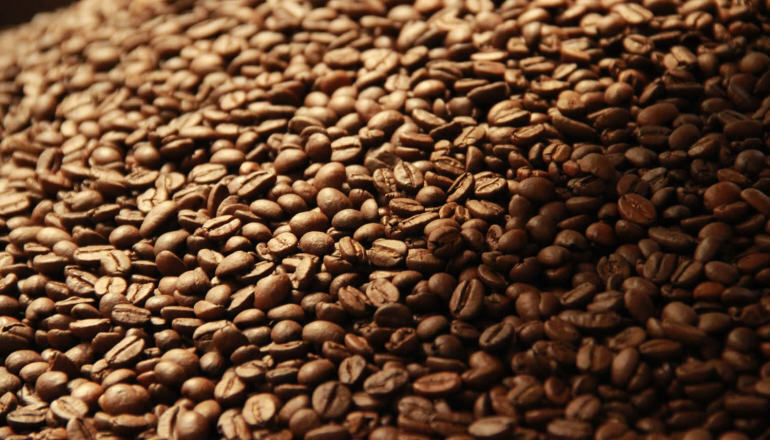 “Caffè Janko” blends are the result of careful selection of the best sources from around the world. Creating blends is an art, of which the recipes are jealously guarded, as they represent the essence of the art of coffee roasting. 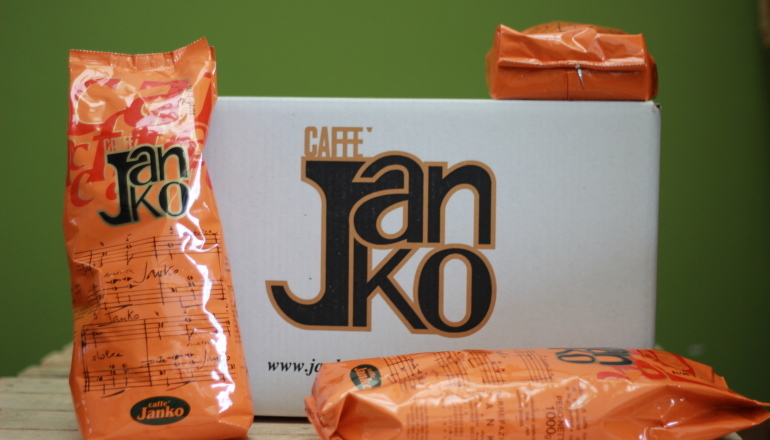 In particular, the “Caffè Janko” Arabica 100% blend constitutes one of the key strengths of our production. The “Caffè Janko” Arabica 100% whole bean blend, made of select beans from the Coffea Arabica plant from around the world. Central America, South America, India, Indonesia and Africa represent in part the origins of this blend which offers a harmonious flavor, intense aroma with a minimal caffeine content. Also excellent are the “Jolli Superior”, “Duomo”, “Zamoka”, “Koala” and “Decaffeinato” blends, each tailored to differing palates. In particular, the 1kg and 20kg packages are intended for wholesale distribution such as bars, restaurants, hotels, community centers and industry. Janko, through 50 years of experience of its three generations of coffee roasters, offers a selection of blends intended to satisfy the most discerning palates and with its exquisite “Caffè Janko” Arabica 100% blend finds its fullest expression. Enclosed in its black and gold 250g tin, this blend, created by founder Angelo Ianco, contains the best origins of Coffea Arabica beans in the world. These are products created for a growing market demand. Versatile for every need, they unite ease of use with the pleasure of an espresso brewed at the bar. Arabica 100%, Jolli Superior, Zamoka, Tea and many other pleasures all offered in single doses. Machines for making espresso with capsules for savoring your favorite blend at home through a perfect mix of 100% Italian technology and design. 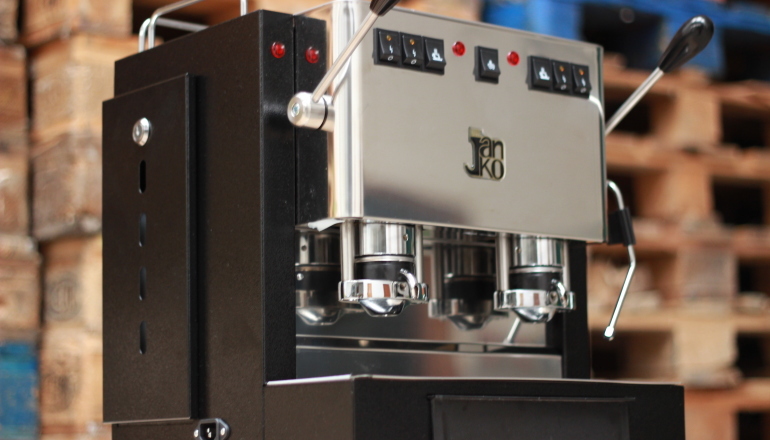 Two group espresso machines for brewing coffee pods to enjoy your favorite blend. Ideal for offices, small community centers and associations, it is a perfect mix of 100% Italian technology and design. “Slow Shopping” is inspired by the Slow movement, a philosophy that rethinks the values behind our daily actions, and offers a new experience for living well. Our stores in the center of Pavia provide our clients with a different experience in line with today’s desire for taste, style, relaxation and well-being. Here, amidst the aromas of our coffee blends, a selection of products from the great artisan tradition of Italy can be found: “Santo Stefano” cookies, still rolled and cut by hand; “baci di Langa” in hazelnut, chocolate and Caffè Janko flavors, and the unique “Foglie di Mais”. The Gobino “Gianduiotti”; the “Giacometta”; the chocolate hazlenut “gianduia” cream of Giraudi; the chocolate of Amedei (recognized as the best producer in the world); the Sicilian chocolate of Modica, and over 50 different kinds of chocolates and bonbons, alongside jams and preserves, Italian honeys and a rich selection of teas, among which are “La via del Tè” and “Tè Kusmi”. Among our savoury flavors, there are oils and pastas from the various regions of Italy; “Marella” pasta, unusual due to its long drying time, antique method of extrusion, ingredients and shape; Tuscan ribollita and carabaccia soups; Ligurian specialties; “Il Mongetto” pasta sauces; organic sauces from Sicily, as well as marinated vegetables and conserves, rice and much more. Art Vinique è una realtà commerciale di Voghera nata nel 2015 in costante crescita che punta a valorizzare i prodotti del territorio pavese proponendo un’ampia scelta tra le sue eccellenze. Referenze che puntiamo ad aumentare e aggiornare costantemente per fornire ai clienti sempre il meglio che la nostra provincia offre. Le aziende attualmente rappresentate nel punto vendita di Via Lomellina 97 di cui proponiamo l’intero parco prodotti sono: Fattoria Cabanon, Birrificio Oltrepò, Birrificio Montegioco, Nobile Apicoltura, Cioccolato Pura delizia , Az. Agr. Rolando e la storica torrefazione pavese Caffè Janko. 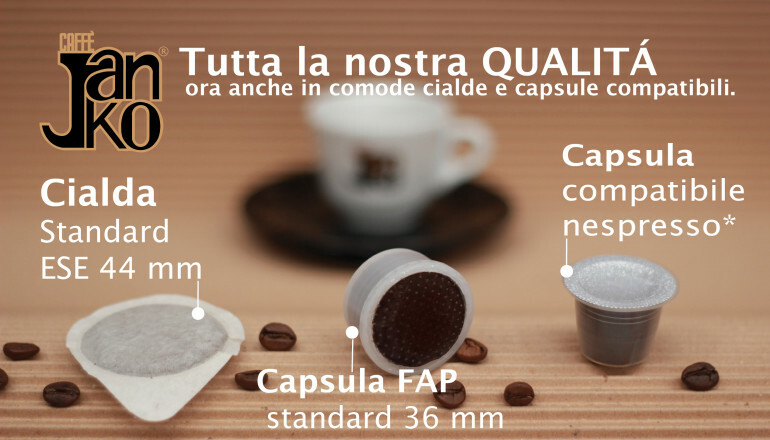 Art Vinique è sempre di più sinonimo di qualità e ogni prodotto che proponiamo alla nostra clientela è scelto pensando all'eccellenza nel suo settore ed è per questo che nel nostro punto vendita ora potete trovare il Caffè Janko in macinato per moka, cialde, capsule compatibili standard e nespresso. WHITE MAN & WOMAN si riconferma come un punto di riferimento per la ricerca e per vedere le anteprime donna a Milano. WHITE è cultura della moda intesa come stile di vita che abbraccia l’arte, il design, la musica e anche il saper riconoscere la qualità di un prodotto d'eccellenza come la nostra miscela Arabica 100% . Caffè Janko con Visconti banqueting a White in via Tortona a Milano dal 16 al 18 gennaio 2016.